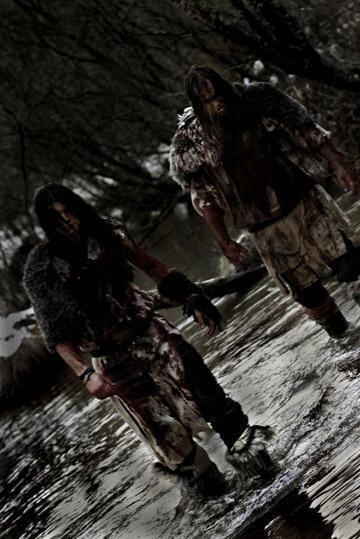 A form of Viking black metal combining majestic parts with aggressive and hard black metal. The bands that have influenced me (Christofer) are Windir, Naglfar and Finntroll. Because they are in the mood for some Swedish Viking black metal! What could be better than drinking mead and enjoying a song about wrongdoers suffering in Narstrand? We’ve released one demo called "Ändlösa Frågor” and one album "Gryende Tidevarv” which where both well-received by the public and the press! They should know that we are one of Swedens finest Viking black metal bands who deliver music that has something for fans of all metal genres. Release our new album "Niddikter” and then head out and play! Our music is available on Spotify, Youtube, Facebook (demo available for download) and you can purchase our album at Amazon, Ebay and internet stores all over the world.